Four couples meet for dinner on the night of a lunar eclipse. A night of friendship and laughs, until suddenly the idea emerges: Why not do something different? What would happen if we left the mobile phones on the table within reach of everybody? Entire lives shared by everyone as they happen... An innocent game or a dangerous suggestion? Will the group of friends be able to withstand such a degree of sincerity, even if it is only for a time? 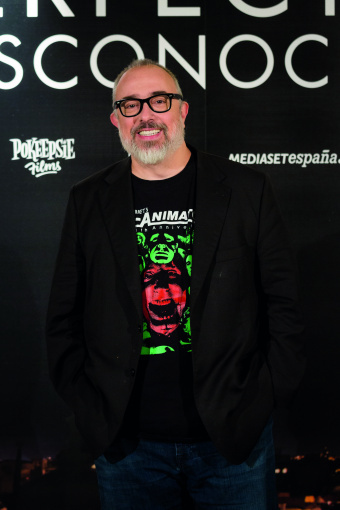 Throughout his career Álex de la Iglesia has made hugely varied films, moving between ambitious productions for an international audience and others closer to Spanish tradition, with touches of the grotesque and black humour. Notable in his filmography are titles like Acción mutante (1992, 3 Goyas), El día de la bestia (The Day of the Beast, 1995, 6 Goyas), Perdita Durango (1997, 2 Goyas, world premiere at the Velodrome in San Sebastian), La comunidad (Common Wealth, 2000, Silver Shell for Best Actress in San Sebastian and 3 Goyas), Balada triste de trompeta (The Last Circus, 2010, Best Screenplay and Director at Venice Festival), Las brujas de Zugarramurdi (Witching & Bitching, 2013, 8 Goyas) and Mi gran noche (My Big Night, 2015), the last two of which were presented out of competition in San Sebastian's Official Selection.